We are weeks away from 2017 and starting a New Year. Many people make New Year’s Resolutions. They work on them for a few weeks and then they quit. Maybe you’ve seen this with your audience. They start off by going cold turkey with the unhealthy food options and start exercising 6 times a week. Unfortunately for most this doesn’t work. They need to slowly change their habits. 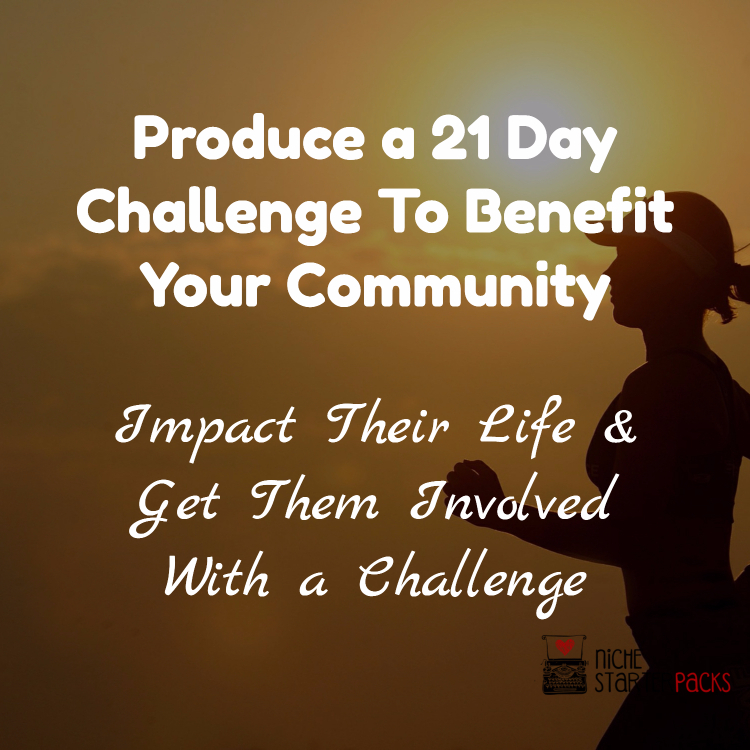 Below I’ll go over how you can guide your community into small wins that snowball into a huge lifestyle change that impacts their health and life! The first thing that people are going to need help with is to change their mindset, as well as change their habits. They might not realize that this is the most important part of their diet, but you do. You can use the 5 Simple Ways For Busy Moms To Start and Keep a Healthy Lifestyle from the Better Health For Busy Moms PLR pack that I have. 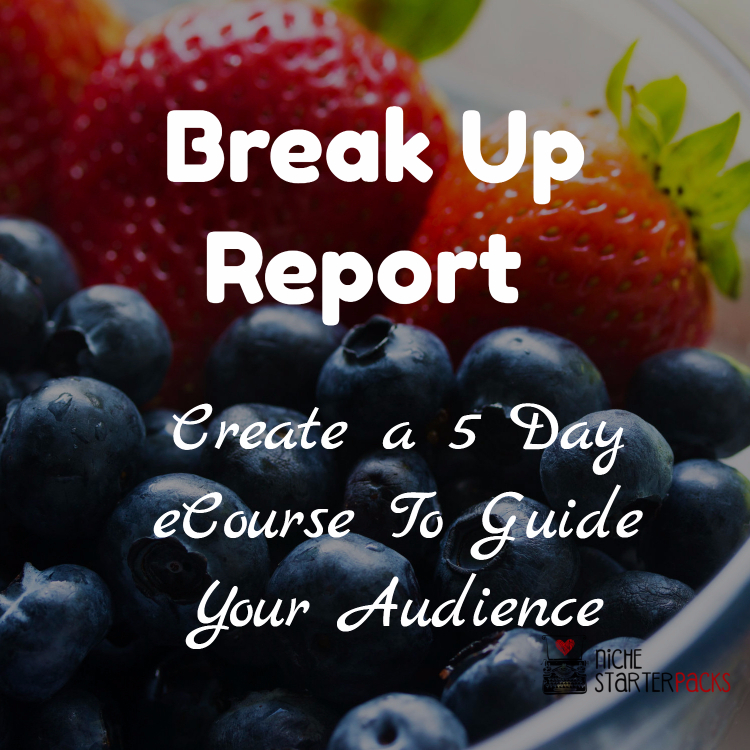 I would break this up and send it as a 5 day follow up eCourse after people have opted in. Also, if you currently have a list I would set it up to send to them immediately. They will get topics on mindset, trying different recipes, being prepared in the kitchen, creating an exercise plan and to know your why. By sending this report as an eCourse you’ll be helping with all aspects of what they are working towards. 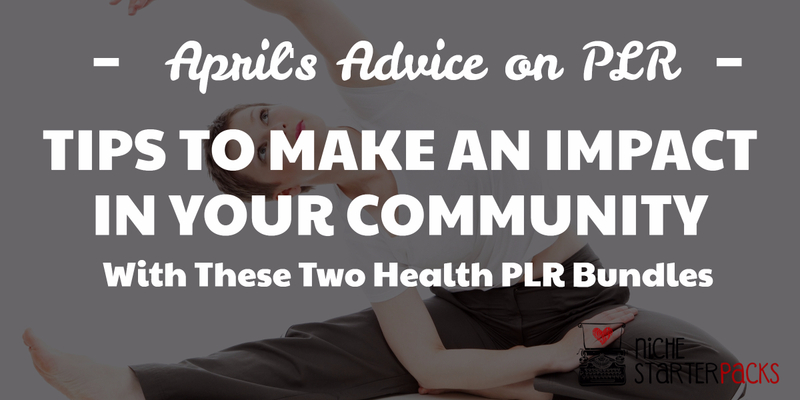 Then take the articles from the Better Health For Busy Moms PLR bundle and upload blog posts onto your blog. There are 15 that cover topics such as food journals, cookbooks, getting more whole grains and smartphone apps to use. To easily set up your blog posts in WordPress use the WordPress Editorial Calendar plugin. This will allow you to keep track of what articles are being published and when. Plus it is super easy to use. A few of these articles could be linked to affiliate products to earn you money when your community buys through your link. Or you could also get the Small Changes for Better Health PLR bundle and link the products to the product review that compliments the suggested products in the articles. You’ll get product reviews with the Small Changes For Better Health PLR. The reviews were wrote to go with the both the articles in the Better Health For Busy Moms, as well as the 21 Day Challenge. You would link to the proper product review when this type of product is mentioned in the written content. People love product reviews and will appreciate you linking to ones that are on your blog. The product reviews are slanted towards busy moms, so you’ll be able to load them up onto your blog with the Editorial Calendar plugin and add the affiliate links. In the small changes, you’ll also get a 16-page report on 66 Tips For Busy Moms To Get Healthy That Work Like Magic. You could use this a few different ways. 3. Create images for each tip and start a series on your Facebook page or in your group. Below I will go over step by step on how to start a series. Create a series and name it something catchy (or name it Tips For Busy Moms To Get Healthy Series). Brainstorm ideas and really think of fun and motivating names to call your series. Just remember that it also has to match the message you are going to be conveying. Go onto Canva or Stencil and make a social media image. You’ll want to make it look the same. I created the image in just a few minutes. With Stencil I will be able to save it as a template, so I could work quickly through the series. We’ve started a new Facebook series on the group called Tips For Busy Moms To Get Healthy Series and you’ll get one tip a day for the next 60 days. Are your kids in the living room watching TV? Try surprising everyone and tell them it is time to get up and move. Put a timer on for two to five minutes. Turn on the music or race them around the house. Get your body moving. That is the goal. You can even do this when your kids are not home. For a mid-morning break take a five-minute walk or stretch. The goal is to do short bursts of exercise so that you’ll feel better all day long. I would post this on Instagram and Twitter as well. You’ll have to reduce the amount of characters on Twitter, but you don’t know where your community will find you and adding to a few different social media platforms only takes a few more minutes. You’ve already done the hard work. Plus with an online software program like Stencil it is easy to make a Twitter image from the Facebook image you already created. I love this idea because people need help keeping on track with their goals and by providing one small manageable tip a day they will be able to easily get it done and they will feel like they accomplished something. If you decide to post weekly for the rest of the week you could give ideas on how to get it done. This will be helpful because people need suggestions about what to do and reminders to get it done. Not all of the tips will work, but enough to make it for a few weeks. With the steps above you’ll be able to create social media posts that get responses. The tips in this report are short enough to create this type of series, plus they provide value to your audience. They are simple tips that most anyone can do and they can be done easily. You can use the series to pre-sell your 21 Day Challenge. You don’t have one? With the Small Changes For Better Health provides you with this as well! 6. Put a buy button on the bottom of the page and start earning money! To do this you’ll go through and format the content with headings and subheadings. You can even make these the color of your brand. Then go through and bold any words that you find should be highlighted by their importance. Add photos throughout the content or put header graphics before each section. Use the eCover you created for the Challenge and change the words to match which day of the Challenge they are on and the title. 21 Days To a Healthier and Happier You! You’ll do this for each day. Another way to make this a more effective Challenge is to do a 21 Week Challenge instead of daily. That will give them more time work on the habits they are working to create. When you’re done you’ll need to Save As PDF. I know many of you won’t do this, but it is easier than you think. I was terrified when I first started. Now I can create a video tutorial at any time with no fear. Do I use filler words. Yes. Do I mess up on what I want to say. Yes. Do I ramble on. Sometimes. Does this stop me? No. I know that each time I create one I get better. Plus I’ve learned that I’m providing value and people just want to be taught. So get out there and do this step! Tiffany Lambert has a 14 Day Vlog Challenge that can help you. She’ll help you every step of the way. 1. To look at the camera while speaking. This is awkward and weird and takes practice. 2. Notes should be kept on the computer screen in front of you, so you can briefly glance down from the camera. 3. Breathe it’ll be okay! To create the video you can either read word for word and talk into the camera like you’re talking to them. Or you could make PowerPoint slides with key points on it and read each Challenge Day word for word. If you’re not good with PowerPoint go onto Fiverr and get a template made for the first day. Then use it over for the rest of the days for each challenge. I use Screencast-O-Matic to record my tutorials and have had no issues with it. Are there more expensive ones? Yes, but this works. I would buy to use it yearly which is around $15 for the year. This will take off their logo. An easy way to deliver this would be to set it up on your site and provide a password. Or you could use a membership plugin and drip feed the content to your audience. The Better Health For Busy Moms and Small Changes For Better Health is a powerful combo that you can take and start using immediately. Some of it will take work, but not as much as you’d think. Plus the sooner you start the sooner it will get done. I always have to remind myself that these tasks won’t do themselves. After you have taken the time to put all of this content to use you’ll be making a huge impact on your audience. 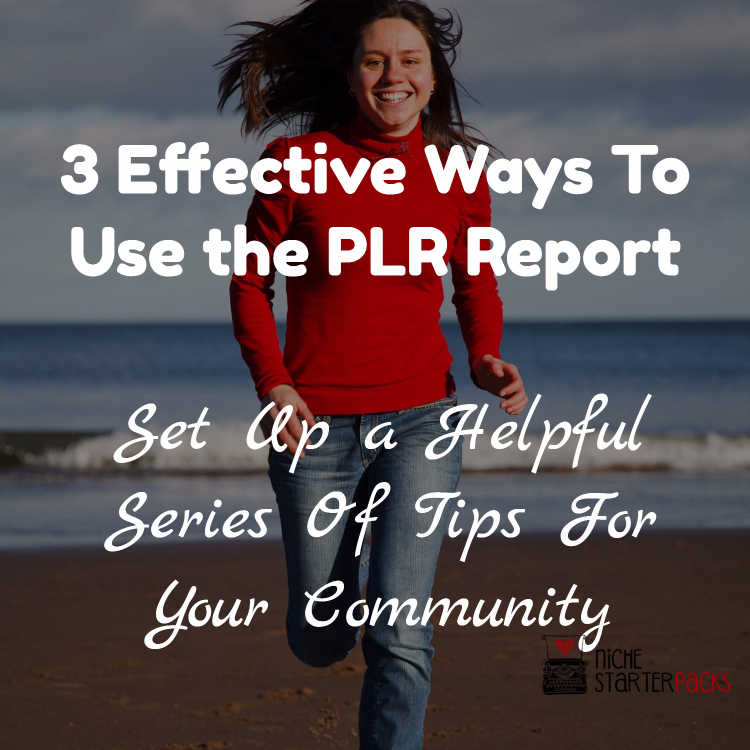 Do you have different plans on how to use these PLR Bundles? Please share what you want to do with it.